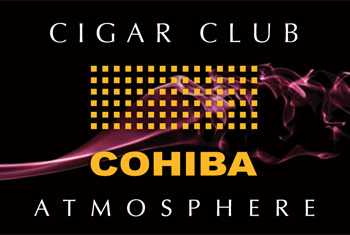 Cigar Cohiba Atmosphere Club, located on the 1st floor bar restaurant La Bodeguita del Medio, was opened in January 2005 as the first Cigar Club in the Czech Republic. Club consists of three separate areas - lounges, which can be linked. It has lounges - "Kryštof Kolumbus" - 6 seats, "Prezident" - 8 seats, a middle lounge, where is "smoking club" - 15 seats. Cigar Club is a place where in the beautiful interior in the spirit of the English gentleman clubs, you will find privacy for your daily meetings or special occasions. There is always discreet, professional service that will offer high quality spirits, and cigars from our humidor. Your meeting can be also combined with lunch or dinner. Cigar Club premises are now open to everyone, but it is recommended to make a reservation. We can also help you with your private event held in Cigar Club.